Eight years ago, Chris Tabone was a 29-year-old backpacker on a pilgrimage to see the sights of Europe, like so many young Australians before him. After travelling solo for nine months, he ran out of money and was sleeping on a friend's couch in London. Jobless and broke and enduring a depressing, grey London winter for the first time, he was on the cusp of changing his ticket and returning home when he scored a job with Contiki as a Tour Guide. The wage wasn't much - €50 ($A78) a day - but his accommodation and meals were covered as part of his role so it made the experience viable. "It was a pretty much a 24/7 job but it was a good way to see a lot of Europe without having to break the budget", Mr Tabone said. 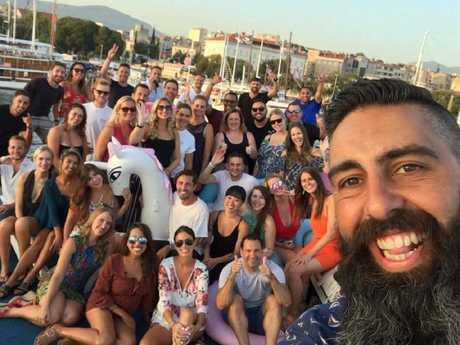 Working at Contiki between 2011 and 2015, Mr Tabone sharpened his skills and observed the tourism market, gradually realising that, as an older guide, his time as a leader for young, first-time travellers who loved to party, wouldn't last forever. "I enjoyed the industry and didn't want to end my career in it just yet. So I was thinking of ways to stay in the industry and the idea of travelling with older, like-minded travellers came up, as there was nothing else like it out there," he said. Chris Tabone started Koda Sail after learning the travel industry as a Contiki guide. By 2014, Mr Tabone had amassed a catalogue of contacts in the industry. He made a decision to sell his own sailing tours in Croatia for the 2015 European summer, launching Koda Sail with a website and social presence. "I relied heavily on social media and the support of past passengers from my Contiki tours to spread the word. That first tour was made up mostly of friends of friends. It was a really nice feeling to know I had the support out there and this could actually be a feasible thing." Eager to build the business further still, he recently tried his luck on TV show Shark Tank. Mr Tabone was seeking a mentor to help him grow Koda Sail into a trusted global brand for the young professional travel market. 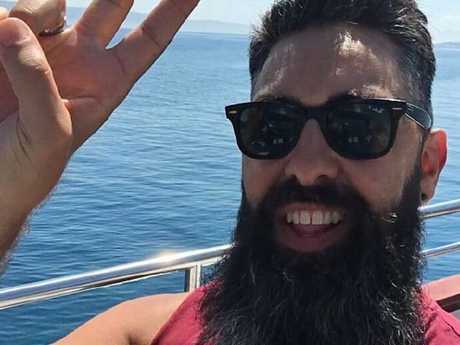 While he has pulled in $600,000 per annum (with a profit of $350,000), he's keen to grow the business further, and offer tours in other regions. He was thrilled with the level of interest from the ‘Sharks’. The Sharks were blown away by his numbers and four of the five offered to invest. Mr Tabone is now only working on boats for 10 weeks a year, leading tours on the Dalmatian Coast in Croatia, while he spends the rest of the time growing his business. After accepting a joint deal from the Sharks, Mr Tabone plans to offer tours in Turkey, Italy, the Caribbean, the Greek Islands and Asia in 2019. He's hoping Shark Tank investors Janine Allis and Steve Baxter will be able to mentor him and help grow the company. Despite his success, Tabone admits that it's not all cocktails and luxury for him. "For 42 weeks of the year I do the hard yards of prepping for the season ahead. New ideas, networking, marketing, customer service, talking with suppliers, and pretty much working around the clock to cater for different time zones and to provide fast replies to booking inquiries. It's full-on but the reward when the summer season finally arrives is amazing," he said. Mr Tabone knows that expanding Koda Sail into a global brand will be a challenge, but hopes having experts like Janine and Steve to guide him will give him the edge he needs. "The Sharks have been very supportive and motivating towards Koda Sail's continuous success. They have lots of suggestions about how to grow the business more aggressively and take advantage of the unique space in which my tours are marketed. 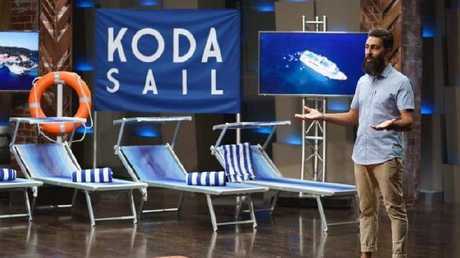 Koda Sail is now on a better and stronger path, which I'm very happy about." He’s now hoping to take his tours into new locations with the help of mentoring and investment from the Shark Tank stars. Still thrilled by his Shark Tank experience, he said: "From a small idea to presenting it on TV with over 700,000 viewers was something I never imagined in my wildest dreams!" And while his main focus has been Koda Sail, Mr Tabone is also growing side projects. The Melbourne local runs Melbourne Walks, a walking tour company taking foodies, coffee lovers, market-goers and those who want to learn about Melbourne's iconic buildings and landmarks on walking tours. "I just do it to keep my skills up," he said modestly, but his customers would never know. The same warmth and enthusiasm that he applies to his sailing venture is evident in whatever he is doing. And his advice for other budding entrepreneurs? "My major tip is always be patient and don't rush into making rash decisions. Pay attention to the detail. Get it right the first time and then you don't have to be chasing your tail. Short-term pain equals long-term gain."